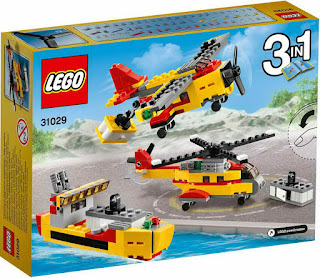 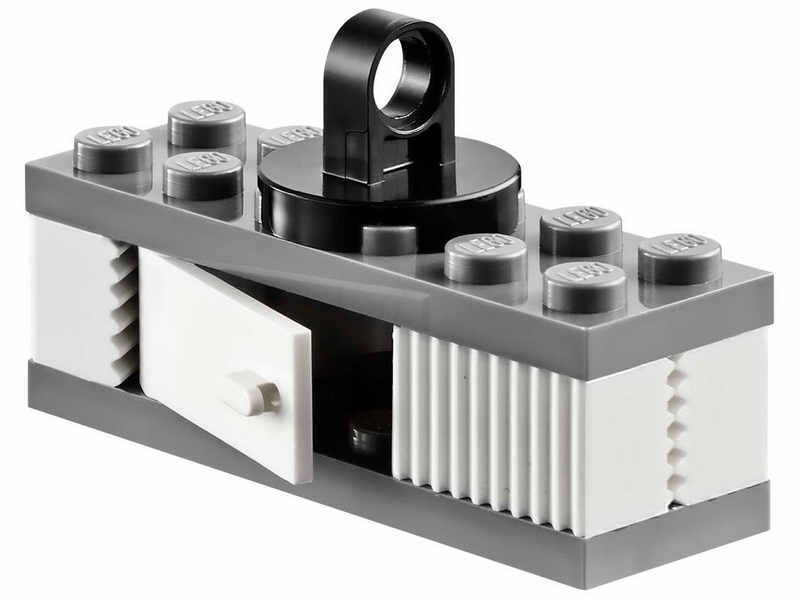 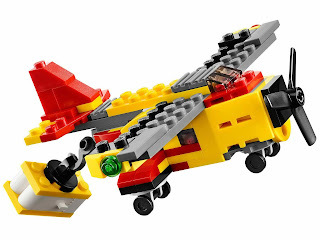 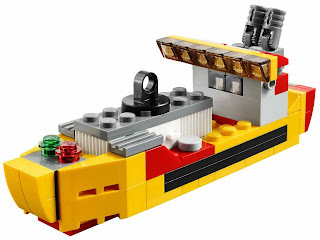 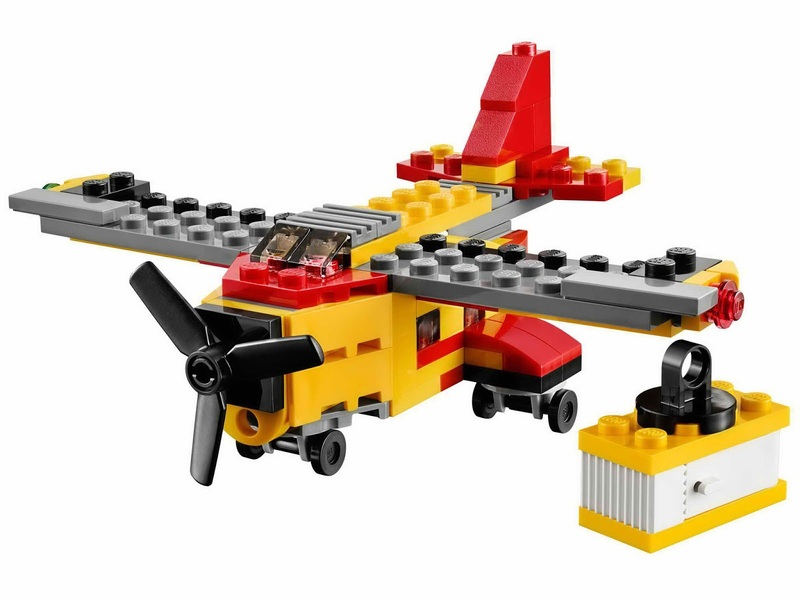 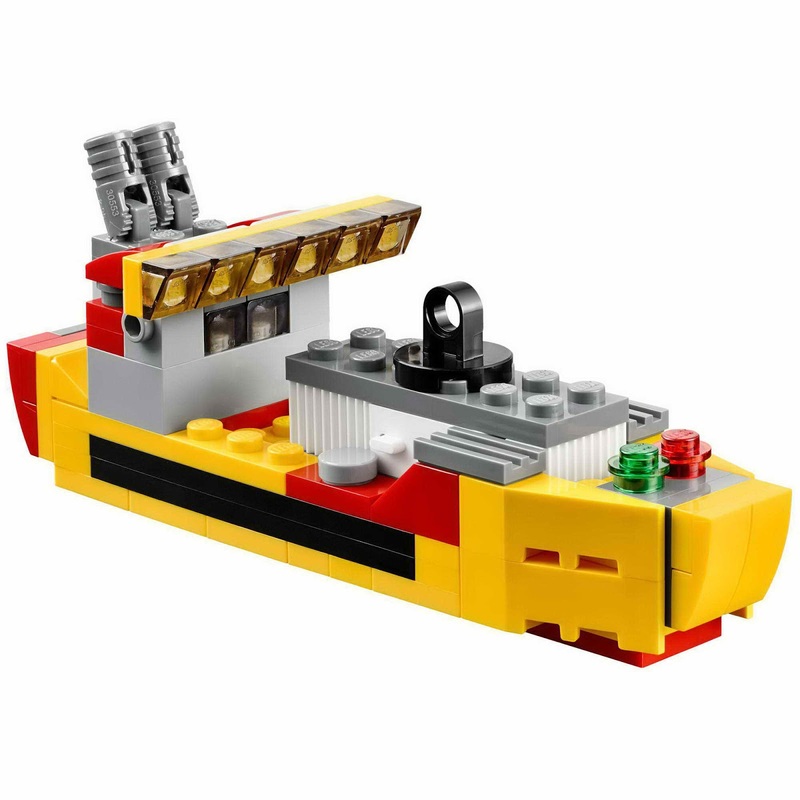 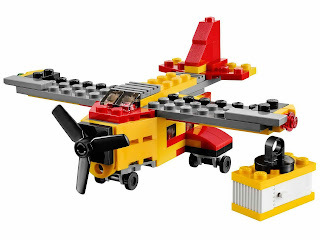 can be built into a cargo heli, a cargo ship and a cargo plane. 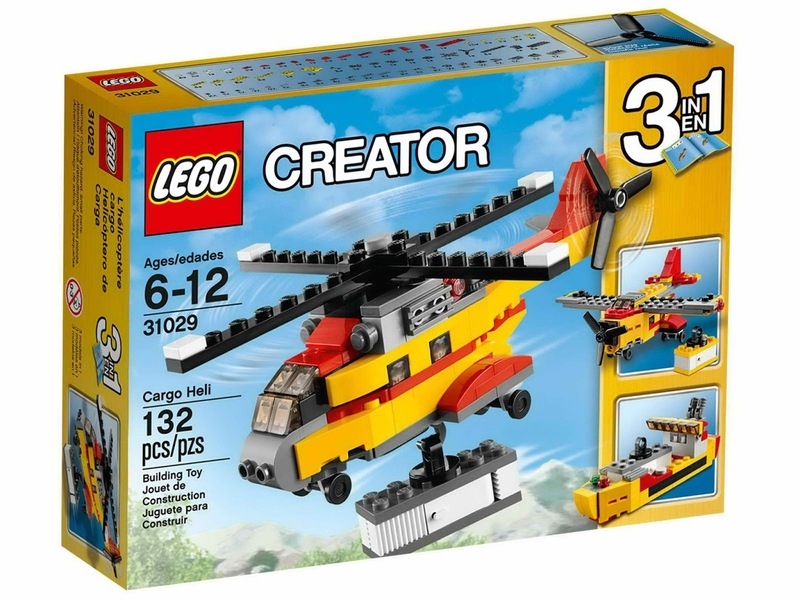 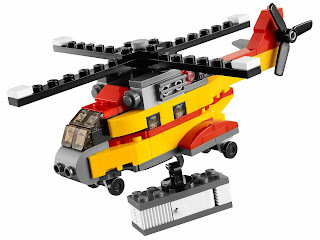 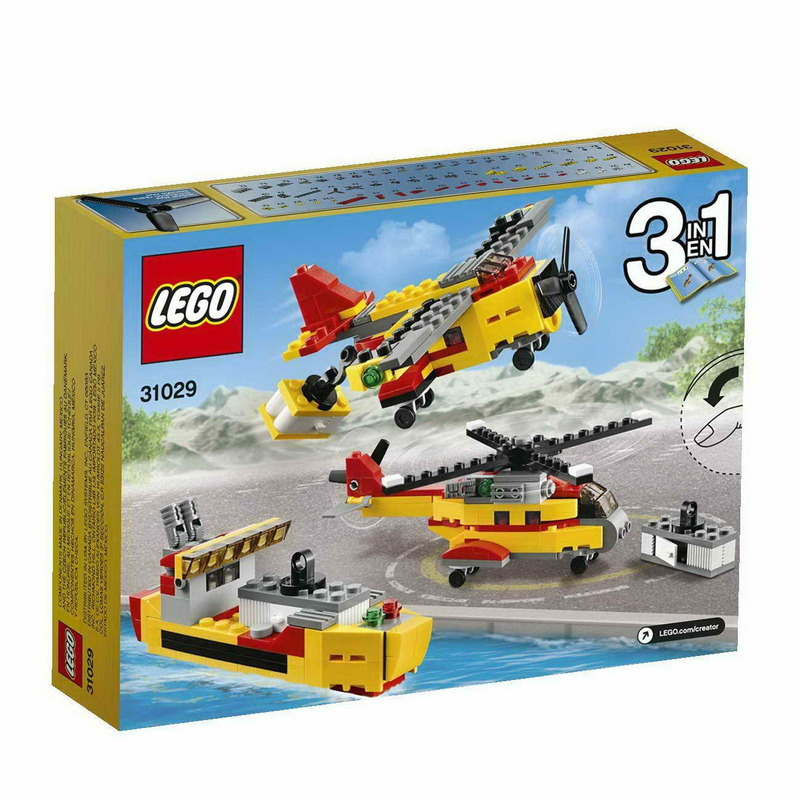 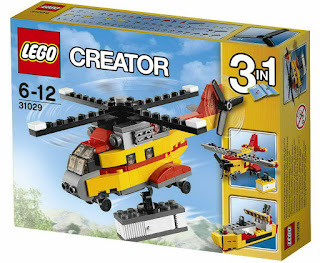 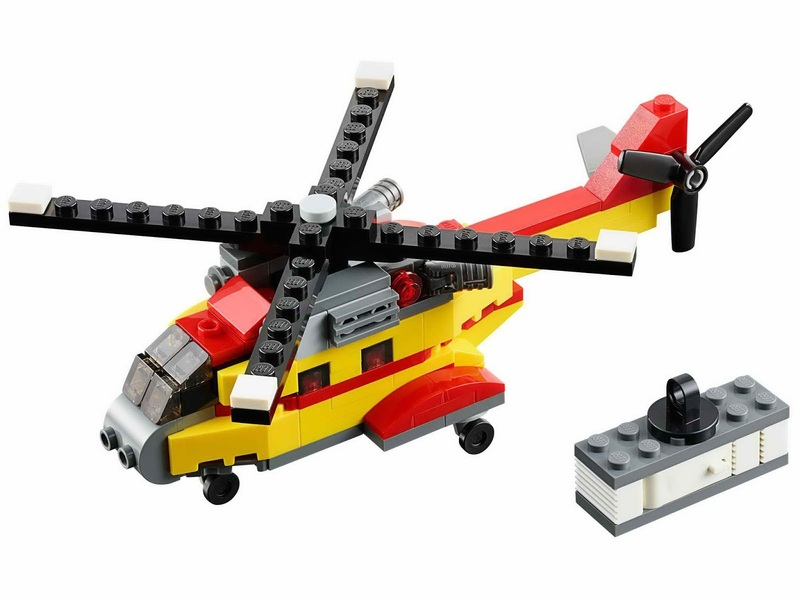 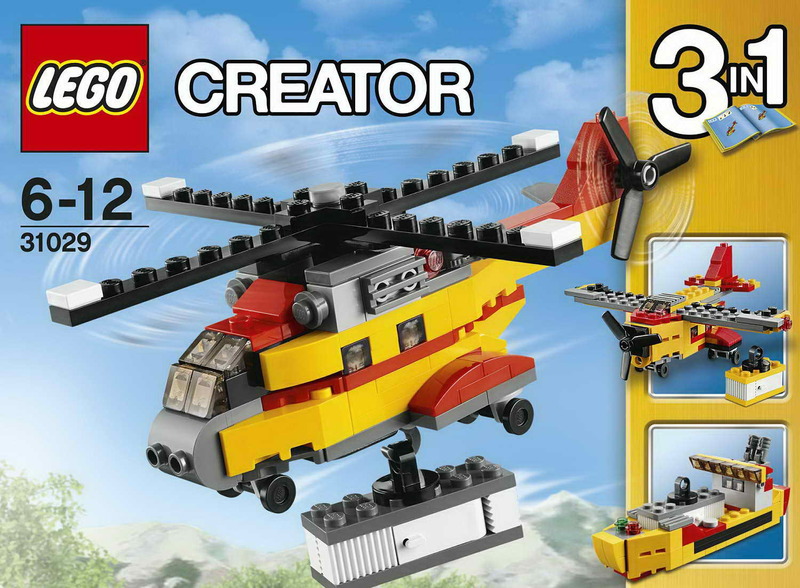 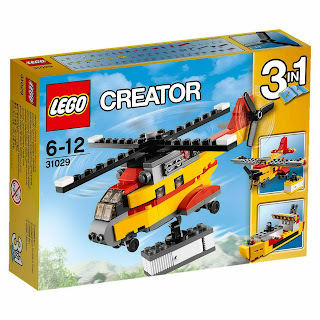 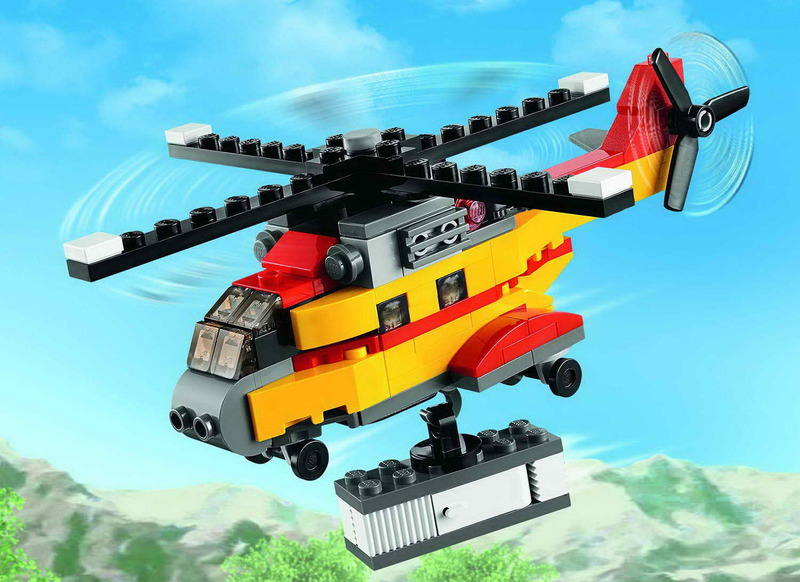 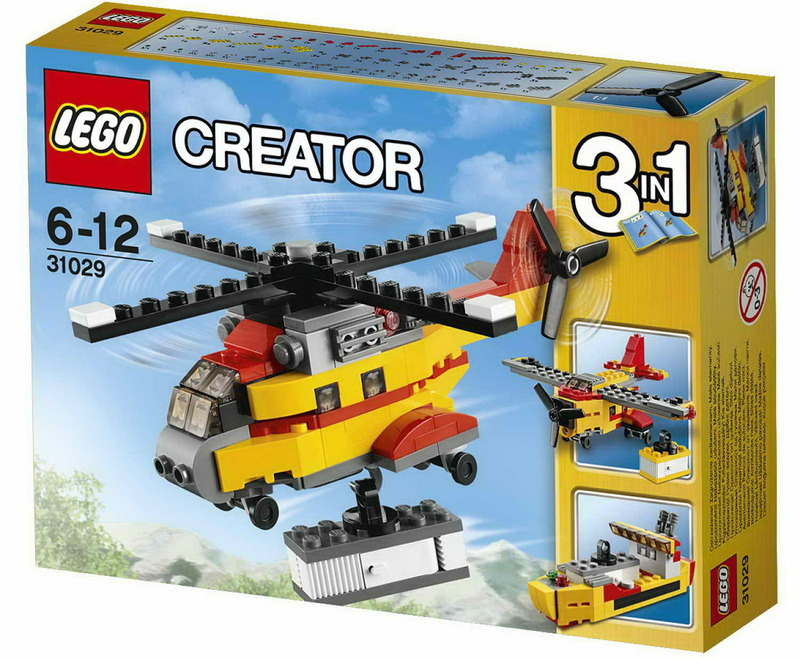 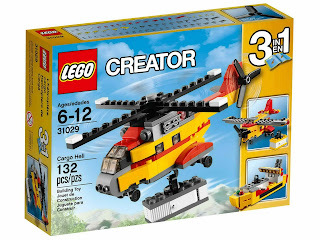 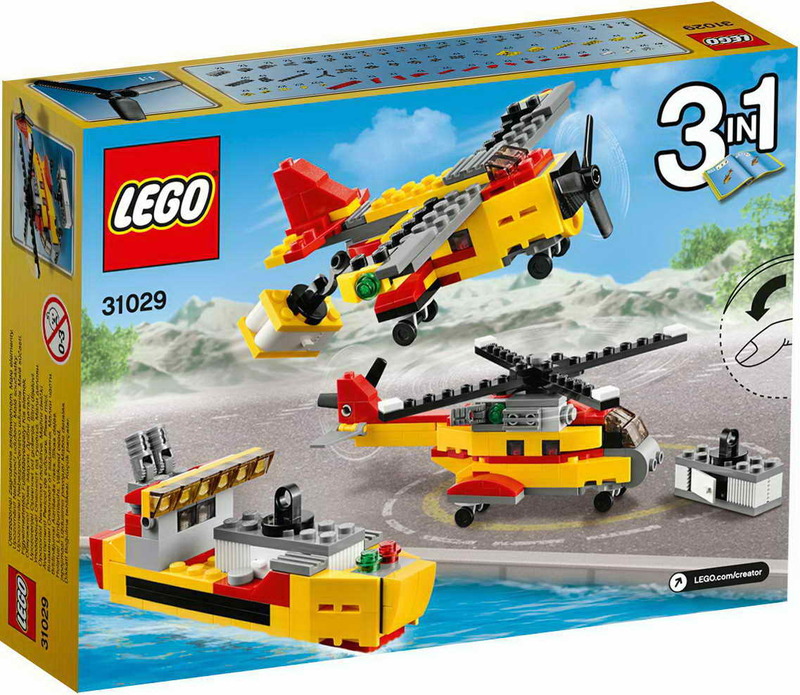 the heli has a turnable main rotor and tail rotor, 2 engines, navigation lights, a wheeled undercarriage, a winch hook and a cargo container with openable doors. can be built into a red go kart, a cool quad bike and powerful forklift. 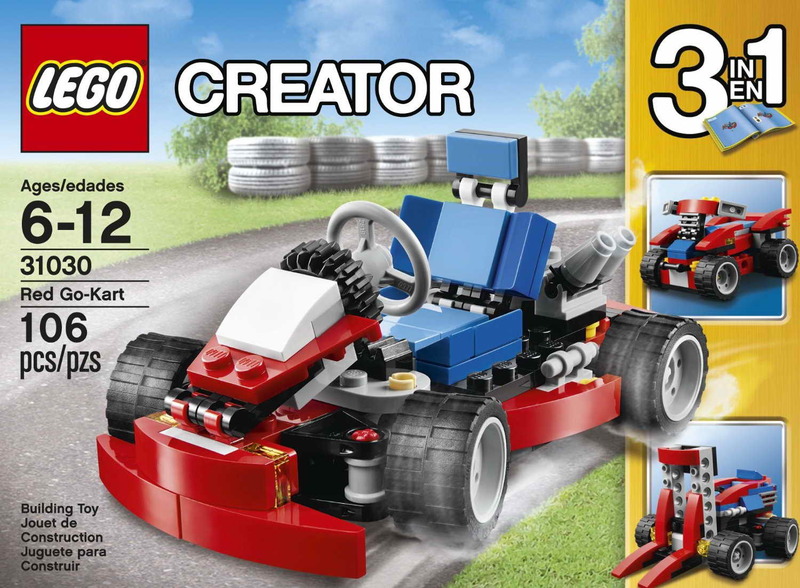 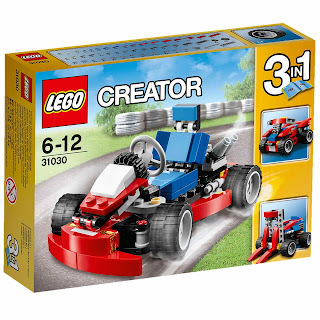 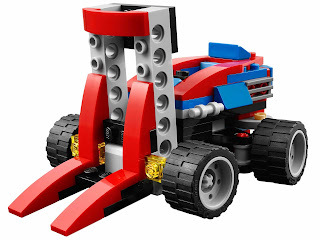 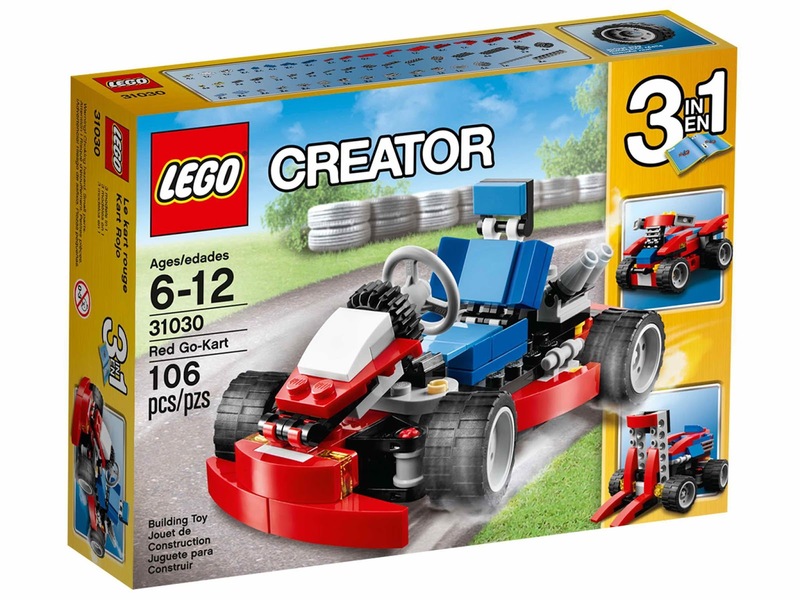 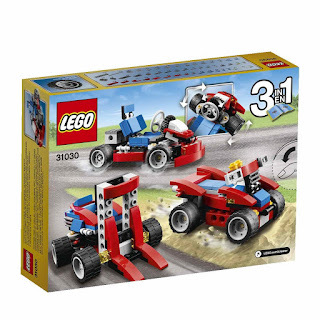 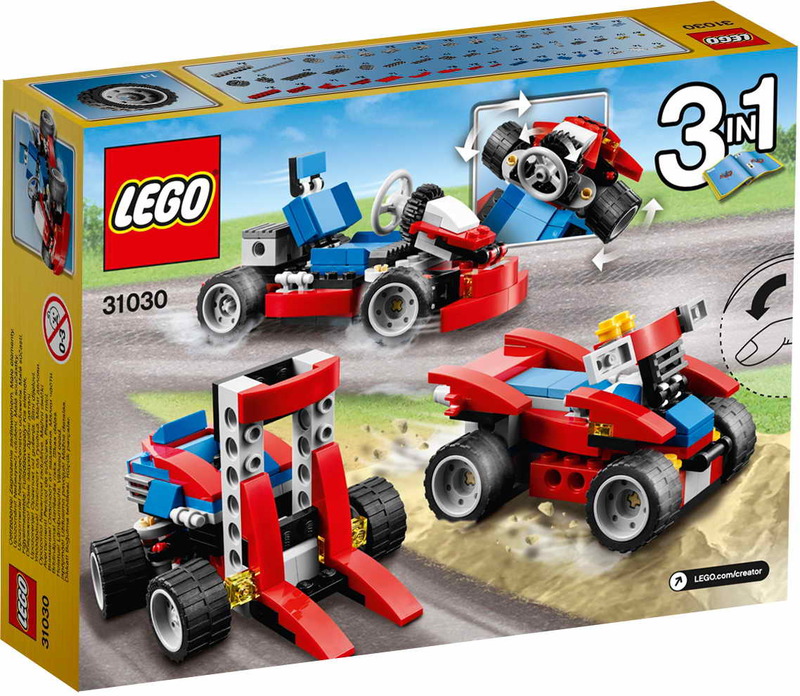 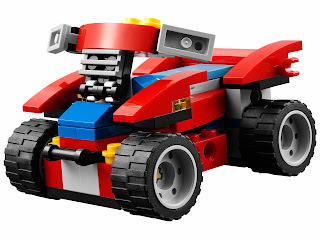 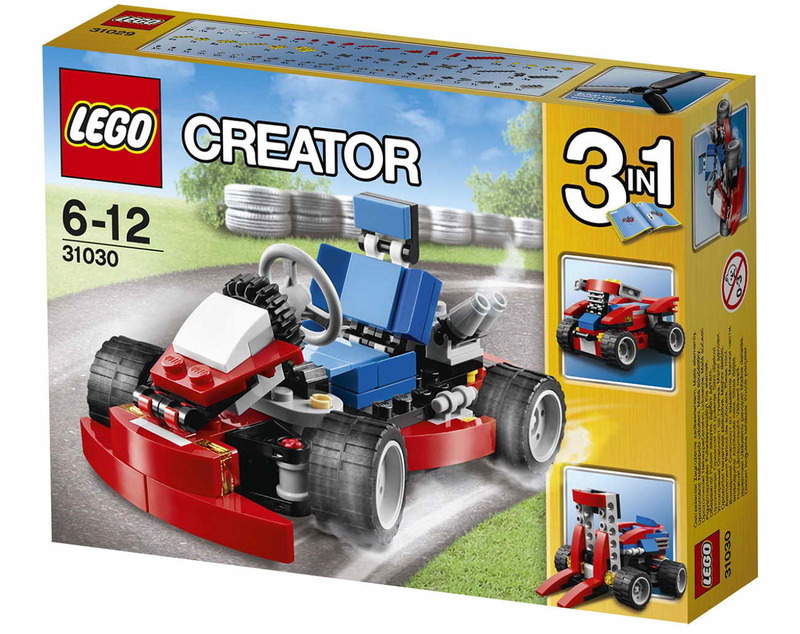 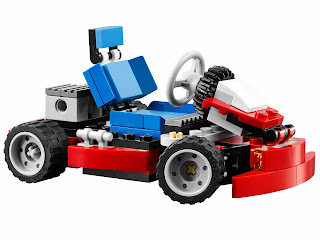 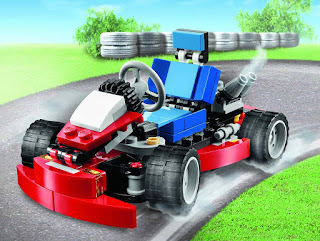 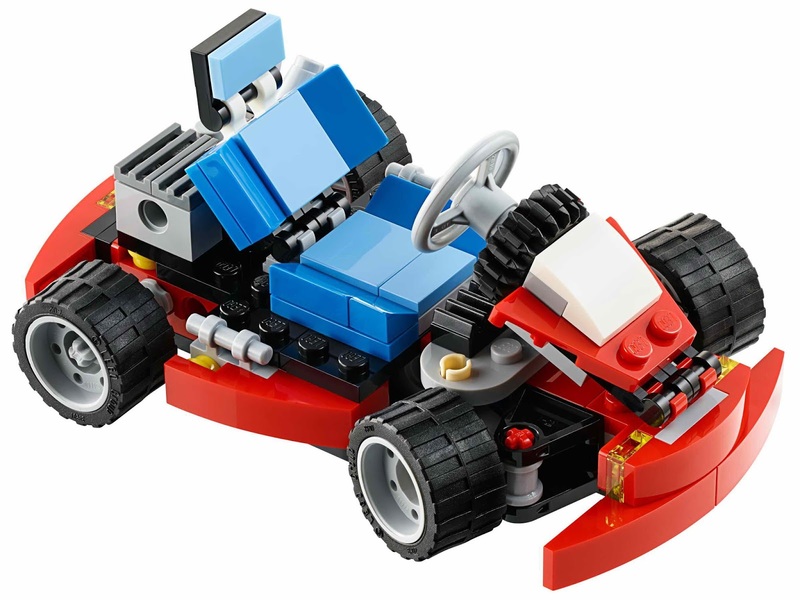 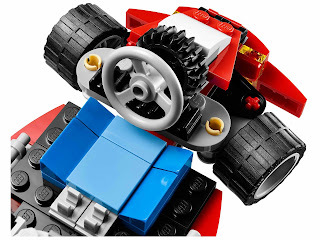 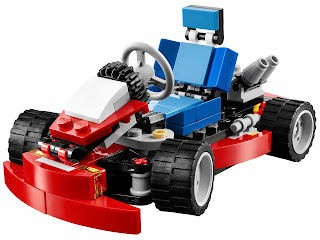 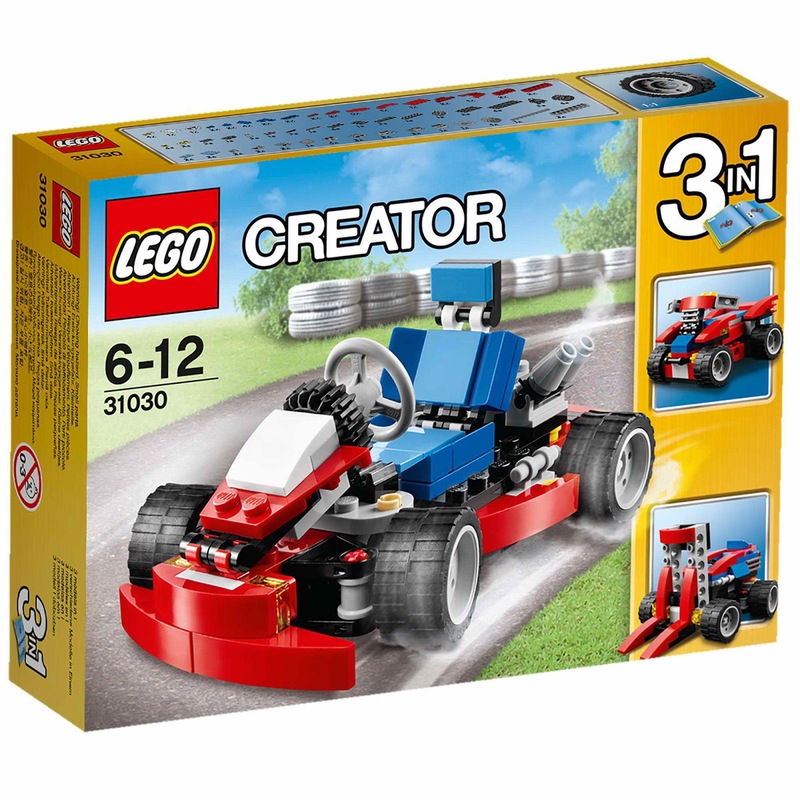 the go kart has a workable steering mechanism, a big engine with grill and exhaust detailing and wide rims with big tires.